Office 365 Video provides you a single tool for uploading, sharing and playing back videos anywhere on your company intranet—whether you use SharePoint Online and/or SharePoint Server on-premises. —Deborah Youmans, senior manager of Collaboration Development at Booz Allen. See their full case study and video. As you may have seen on the Office 365 Roadmap, we’ve been working hard to bring you numerous features and capabilities ranging from improving the upload experience, enhancing accessibility with closed-caption support, delivering analytics per video to provide aggregate trending patterns and more. 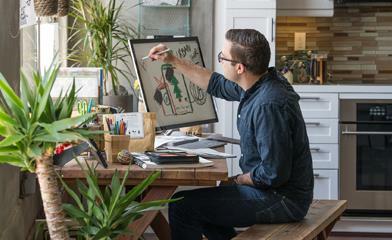 Watch the new Microsoft Mechanics video to see highlights of the new innovations—rolling out now. 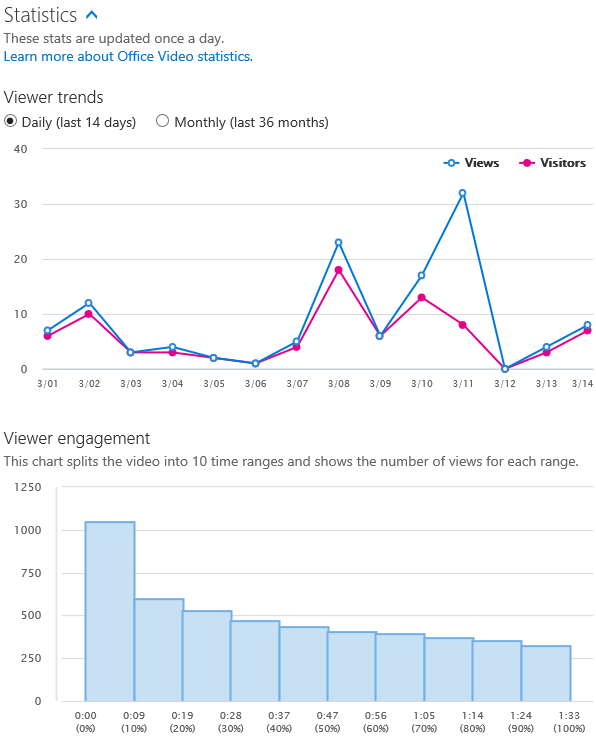 The new video viewer statistics gives people insights into how their videos are being viewed—highlighting viewing spikes where shared via email and Yammer or discovered within Office Delve. It shows aggregate data on how many people have watched your video and how long they spend watching it, visualizing the drop-off rates over time. Users can view interactive Viewer trends and Viewer engagement graphs from the Statistics drop-down menu underneath a video on its playback page. Learn more about viewing statistics for a video in Office 365 Video. We are now rolling out an easier, more centralized way to upload videos. Start by clicking the universal Upload button in the top-left navigation and then selecting the desired channel for your video(s) from the list of channels you have upload rights to. Select or drag and drop videos to begin upload. During the upload, you will see an overall progress bar if you’re uploading multiple videos, plus individual progress bars per video. While this is happening, you can type the title and description details. Now that was easy and a time saver. Easily upload videos, adjust and add title and description and see progress along the way. Learn more about uploading videos into Office 365 Video. Upload your own subtitle files—After the upload is complete, you can make your internal video communications more accessible. Office 365 Video supports the common webvtt format for subtitles, with the ability to have subtitles in multiple languages per video. You simply choose the language and upload the captions file. The Office 365 Video player then associates the captions when the viewer turns captioning on. Upload one or many webvtt caption format files to add closed captions to your videos. 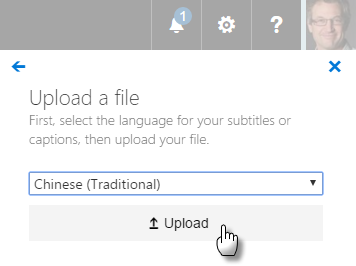 Viewers can then select their preferred language during playback from within the Office 365 Video player. Learn more about adding subtitles or captions to a video. Choose your own thumbnail—Once a video is in the system, you have the ability to choose the thumbnail. Options include selecting one of the four auto-generated thumbnails, uploading your own custom image or using the default thumbnail. 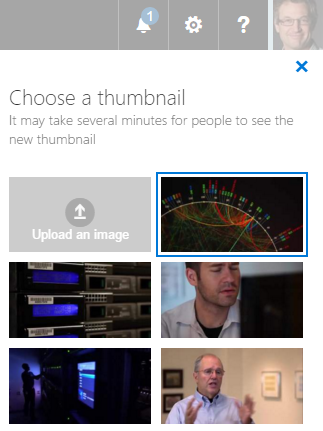 The selected thumbnail image represents the video throughout Office 365—including in the Office Delve activity feed, when embedded on a SharePoint team site (on-premises and online) or when placed within an internal blog post. Easily manage choosing your own thumbnail for video(s) you have uploaded. Learn more about changing a thumbnail for a video. Owner and people metadata—Beyond title and description, Office 365 Video also shows who uploaded the video and the various people who are in the video. This enhances the discoverability of the video and highlights the main speakers; it, too, enhances when and how your videos appear in other users’ Delve activity feeds pivoting off of the relevant context of who knows who. You add people involved by doing a simple name lookup based on your active directory. Easily insert a video into a SharePoint page or team site—We want to save you clicks when you choose to broaden your video communications throughout your intranet. So, now it is easier than ever to embed a video—managed from within Office 365 Video—into a SharePoint Online page or team site. There is now an Office 365 Video button on the Insert ribbon tab to display a dialog box where you can quickly search for and select a video from your Office 365 Video portal. Click the Office 365 Video button from the Insert ribbon menu when editing a SharePoint Online team site. Read more about the value of embedding video throughout your intranet. And then learn more about how to embed a video into a SharePoint team site from Office 365 Video. Download for offline viewing—Stay informed and up to date even when you are not connected to the Internet. Office 365 Video enables the ability to download the file to your local machine or easily transfer to your smaller device for times when you need to view a video offline or to show a video in a location without Internet access. Channel admins can control who is able to download videos based on the same permissions for the channels (owners, editors and viewers). Once enabled, viewers can take a copy of the video for offline playback by clicking the Download button directly under the player on the player page. Learn more about how to set download permissions within the channel permissions settings. Yammer settings per channel—Video channel owners in organizations that have Yammer enabled can now control the default Yammer group that video comments are posted to or disable Yammer comments altogether for a channel. The new Yammer control tab, within Channel Settings, gives channel owners flexibility to turn Yammer conversations on or off or to have comments posted to a specific Yammer group. Learn more how to manage and control Yammer settings per channel. Restore a video in the Recycle Bin—Admins can now restore videos that have been deleted by a user. Deleted videos sit in the Recycle Bin for 90 days, and it is now possible to recover and restore videos from the Recycle Bin. To restore a video in the Recycle Bin, simply select the video and click Recover Selection. The video is resubmitted into the system and prepped for playback. Learn more about deleting and restoring videos from the video Recycle Bin. 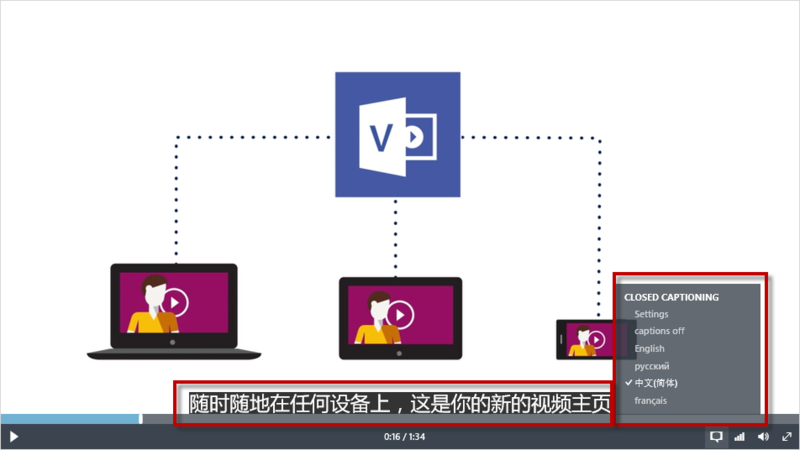 Office 365 Video now deployed in U.S. Government zone (GCC) and China datacenters—Customers whose tenants are in the Government Community Cloud (GCC) and China datacenters now have Office 365 Video available to them for their dynamic, secure and private internal communications. Whoa, that’s a lot of new features and functionality to bring you the best, most integrated video solution within the Office 365 productivity experience and beyond (note: SharePoint Server 2016 (RTM) supports establishing a hybrid connection to Office 365 Video). And we’re already hard at work planning and developing the next round of innovation. We’re always listening. If you have an idea for a future Office 365 Video feature, please visit our UserVoice page, submit your feedback and vote items up! Or join in the discussion about Office 365 Video with other organizations and the Microsoft team that builds it. Introduce yourself to Office 365 Video and start using it today. Q. When will these features appear in my Office 365 tenant? A. Most features are currently rolling out or near 100 percent completion. The owner and people metadata feature is expected to begin rolling out by May 2016. Q. Which Office 365 plans include Office 365 Video? A. Office 365 Video is included in the Office 365 E1, E3, E4 and E5 subscription plans (and the corresponding plans for Academic and Government plans). Q. Which Office 365 workloads must I have deployed for Office 365 Video to work? A. Office 365 Video requires SharePoint Online and is automatically enabled for all users whose organizations have one of the eligible plans and have a SharePoint Online license assigned.